•	Walking tour of City of Oxford, the "City of Dreaming Spires"
Another popular student tour is Cambridge and Oxford. As per our schedule we depart London at 9:00 to head to Cambridge. The elegant city of Cambridge is a university town and the administrative centre of the county of Cambridge shire, England. It lies in East Anglia, athwart the River Cam, about 50 miles (80 km) north of London. 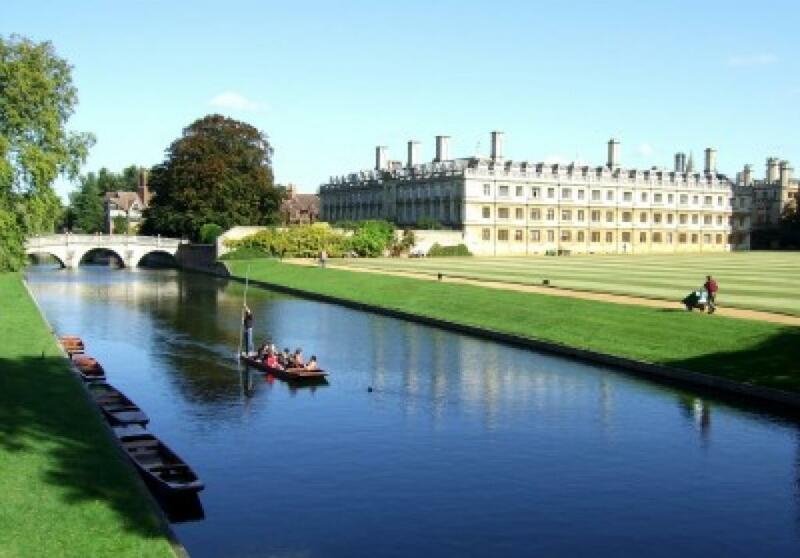 Cambridge is most widely known as the home of the University of Cambridge founded in 1209, which is consistently ranked one of the top five universities in the world. Like our other student tours, we will have a walking tour where you will have a chance to visit the renowned Cavendish Laboratory, King's College Chapel, and the Cambridge University Library. Marvel at the oldest college that still exists, Peterhouse, which dates back to 1284. Our visit will be about 2 hours and half in Cambridge and then we move to Oxford. The “City of Dreaming Spires”. Oxford is the city of Dreaming Spires, a distinguished academic excellence for over 900 years, an inspiration to its famous students including President Bill Clinton, and the authors J R R Tolkien, Lewis Carroll and C S Lewis. Our student tour to Oxford is included visiting Christ Church College, where Harry Potter was filmed, the Bodleian Library and the Sheldonian Theatre. Following this visit we will have a walking tour of city, where our tour guide will deliver you historic information about Oxford University and colleges. There will be some free time to discover the university town of Oxford at a leisurely pace, perhaps souvenir hunting in Oxford famous indoor market or enjoy a coffee in one of the many beautiful cafes.